Happy 1st Birthday TGIF Challenges! The TGIF challenge site is turning 1 this week and to celebrate I've made them a card (as part of their competition). 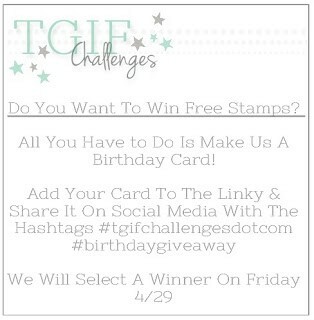 #tgifchallengesdotcom #birthdaygiveaway The prize is one of the new stamp sets from Stampin' Up! - one I have my eye on! 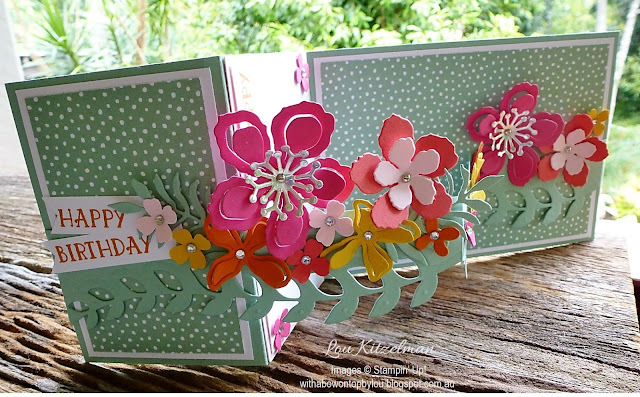 For the challenge I wanted to try a new card fold that I have seen around. I first saw it on a Jan Brown's blog. She calls it a Double Z fold. 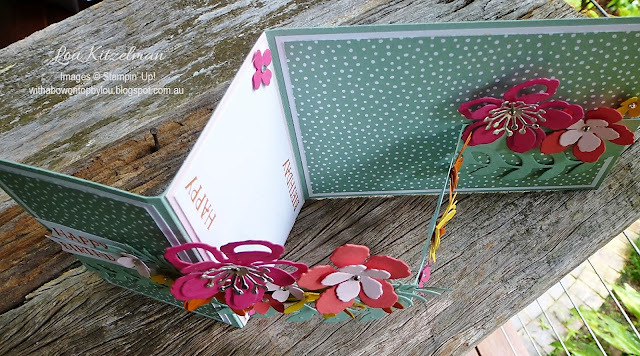 It folds flat so it can fit into a standard Australian C6 envelope. It opens up to stand up and show off your design. A bonus is that is super easy to make. This is a very bright design - I have a soon to be 12 year old in mind who might also like to receive this! Making it is easy. No measuring or scoring! Cut a piece of A4 in half lengthwise and fold in half. Fold the front flap back on itself towards the centre fold. Burnish with a bone folder. Mat the front flap and inside panels. Cut a piece 3cm wide of the left over piece of cardstock (it will measure 3 x 29.7 cm). 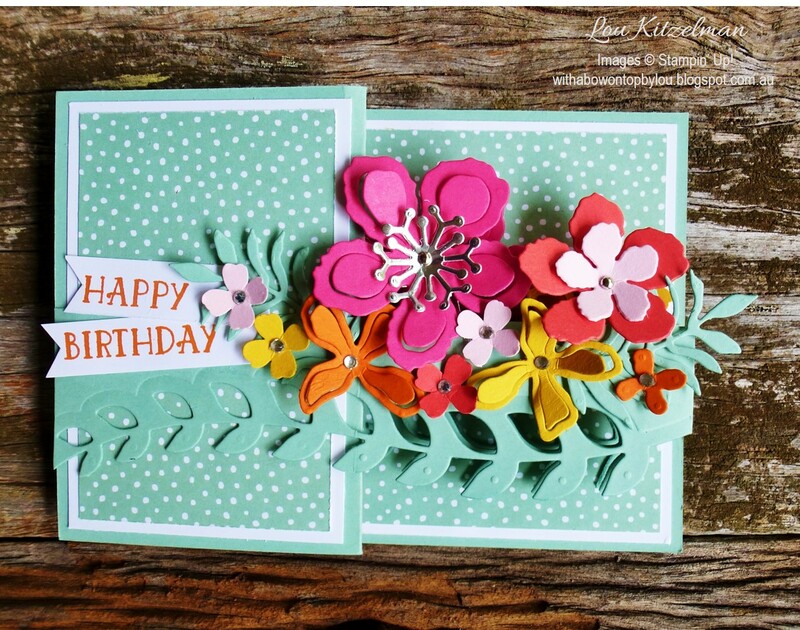 You can use a contrasting piece of cardstock if desired. Fold in the same way that you folded the card base. 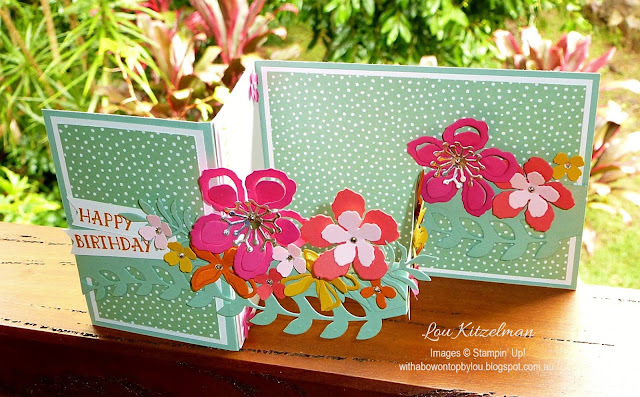 Add embellishments to the pop out z fold part. 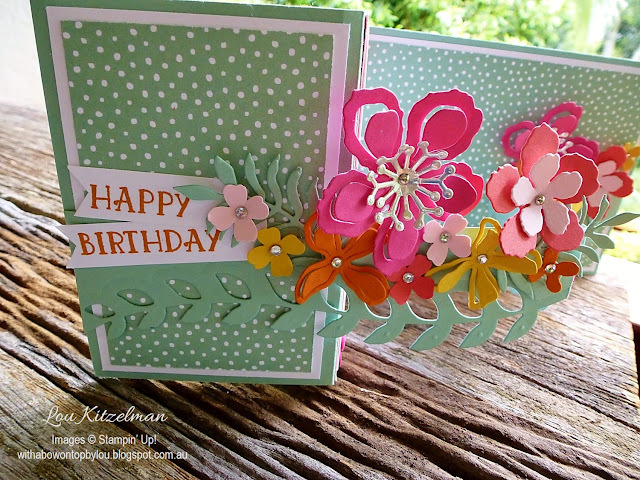 For this card I have used the Botanical Builder thinlits in different bright shades. I have used 1 cm strips of acetate to give support and height to the larger flowers. The flowers are attached with glue dots as is the acetate to the back of the pop out z. 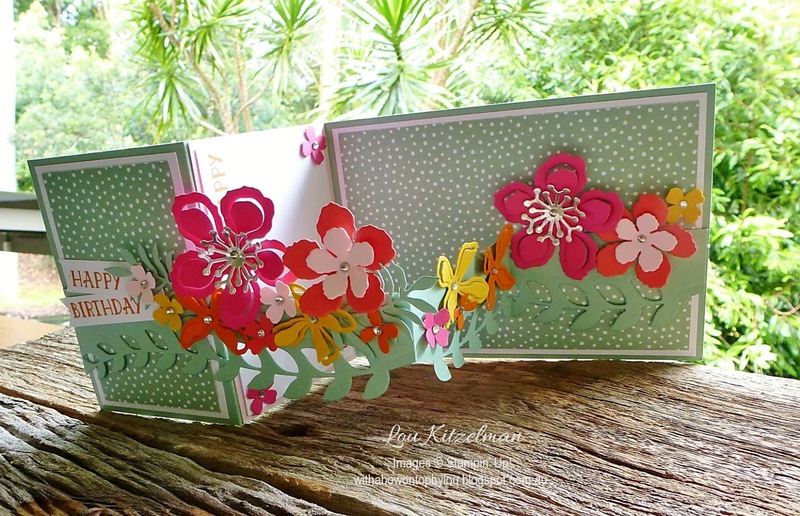 To make this pop out z a bit fancier I have used the decorative edge in the thinlits set. So that it matched when folded I die cut it folded. Once you have run it through the Big Shot once, you can unfold it, line up the die again with the impression and cut the last bit. Happy Birthday TGIF. Thanks for all the great challenges you have given us in the last year. Look forward to many more to come.